The Korres range is all about natural products, with all ingredients extracted from plants. 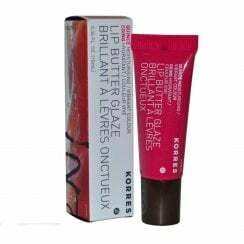 After years of research, Korres launched in 1996 and became known worldwide in 2000 as its beauty range was bought into iconic shops such as Selfridges, Harrods and Harvey Nichols. It prides itself on being friendly to both the skin and environment and extremely high quality. As water is a main ingredient in most cosmetics, Korres follow a pure water guide, only using water that is over 5x purer than what is required.